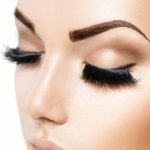 Eyebrow stencils – What are they? How do you use them? Eyebrows frame your face. You can easily achieve a fresh look by making your face makeup natural with fuller eyebrows. But, doing your eyebrows is really complicated as it requires a lot of trial and errors. So, if you are looking to perfect your eyebrows with lesser mistakes, then you should invest in eyebrow stencils. 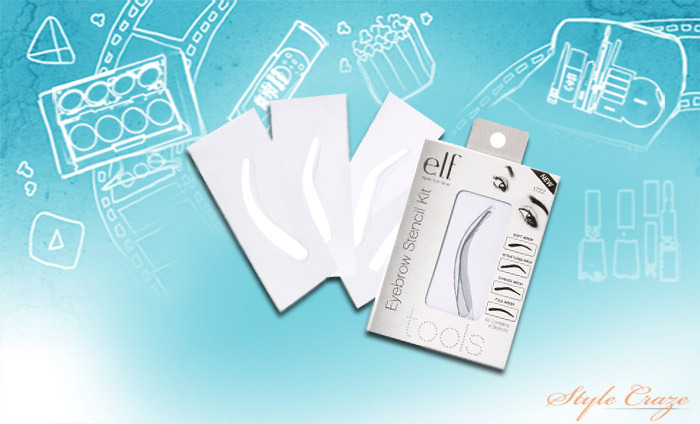 Eyebrow stencils are eyebrow shaped patterns, which are made from flexible transparent plastic material. You can choose your preferred eyebrow stencil design from simple to bold looks. The eyebrow stencil is placed above your natural eyebrows and then the pattern you want is created by using a brow gel or pencil. 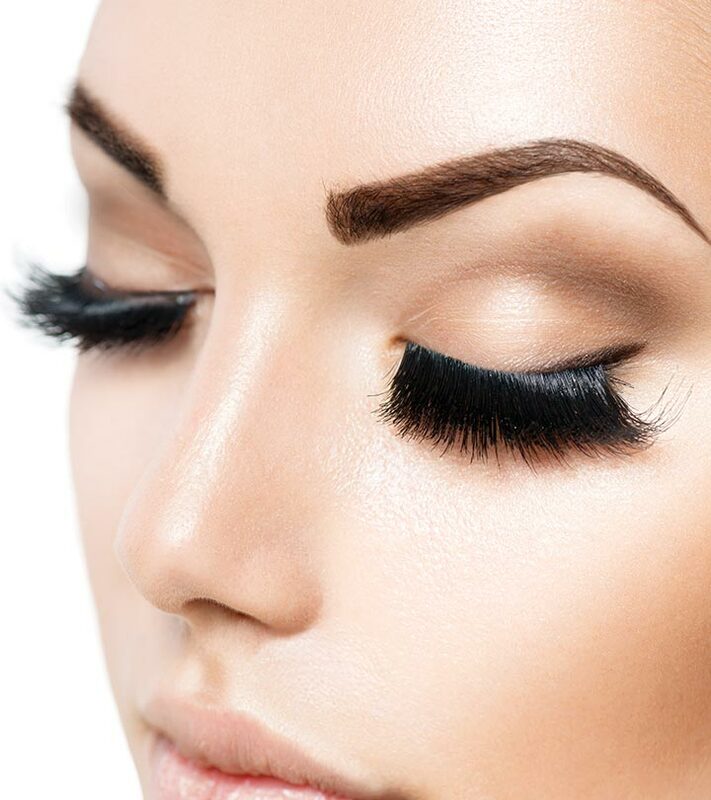 Then, you can clean out the area around the eyebrows by tweezing, waxing, plucking or threading. How To Choose Eyebrow Stencils? Choosing the right shape of an eyebrow stencil is important as it helps in bringing out the function of framing your face well. Look at the mirror and analyze the shape of your eyebrows. Every individual has different eyebrow shapes. The shapes can be flat, curved, angled, round or soft angled. After you know your natural eyebrow shape, you can choose the eyebrow stencils depending on them. The next step is to understand the thickness you want to create. The thicknesses of your eyebrow can be thin, medium or thick. The last step is to select an eyebrow stencil. The eyebrow stencil should approximately match the natural length of your eyebrows. 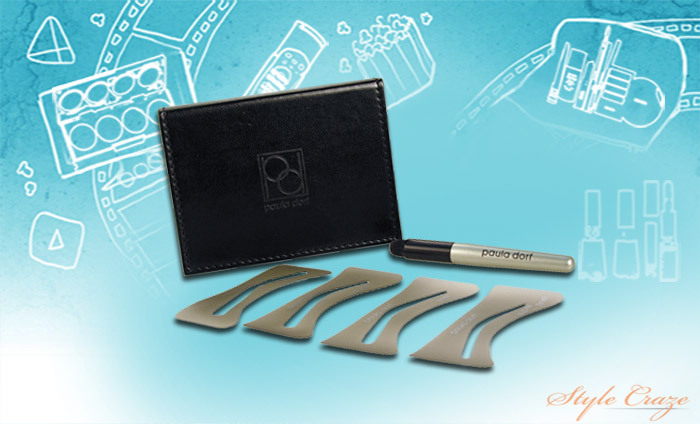 Let’s have a look at the various types of eyebrow stencils available in the market. The celebrity inspired eyebrow stencils mimic the eyebrows of various popular celebrities. All you have to remember that the celebrity inspired eyebrow stencil should also work in harmony with your natural face structure. You can find eyebrow stencils of celebrities like Angelina Jolie, Charlize Theron, Beyonce Knowles, Pamela Anderson, Catherine Zeta Jones, Niki Taylor, Jessica Simpson Jennifer Aniston and many others. The plastic eyebrow stencils are easily available today. 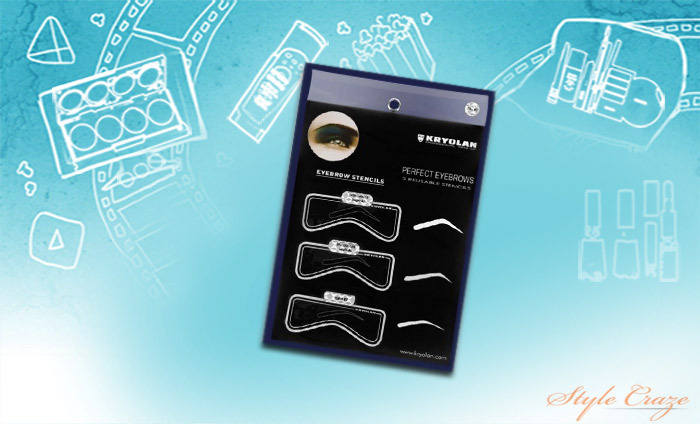 These eyebrow stencils are made from flexible plastic, which can be reused several times. The eyebrow pattern is printed and laser cut, which leaves a hollow eyebrow design pattern on the plastic material. You place it above your natural eyebrow and then fill your eyebrows with an eyebrow gel or pencil. As the eyebrow pattern is clean and precisely cut, after filling, you will get perfect pro-like eyebrows. 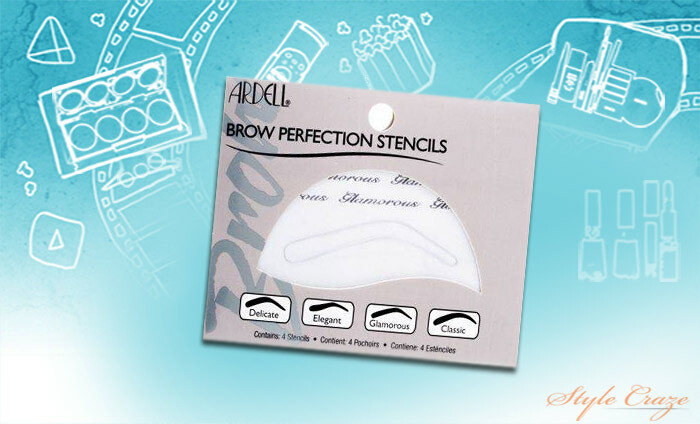 The pre-waxed eyebrow stencils have brow wax applied to their surfaces as the name suggests. You have to firmly press and remove them. They will remove all the unwanted eyebrow hairs, thereby leaving you with the perfect eyebrow shape you want. It is based on the same principle of eyebrow waxing. This method will save you time as you don’t have to pluck your extra eyebrow hairs afterwards. Start with clean and groomed eyebrows. If your eyebrows are extra long, then you should trim and brush it in the direction they grow. Now, take an eyebrow stencil of your choice. Carefully align it to your natural eyebrows, please check whether it covers up your desired eyebrow length and hold it firmly. Do not let it slip or move. Now, take a good eyebrow pencil or any eyeliner pencil depending upon the natural color of your eyebrows. Then, trace the outline of the eyebrow stencil design. Then, carefully and gently remove the eyebrow stencil. Please make sure to remove it without smudging the eyebrow shape sketch you have drawn. 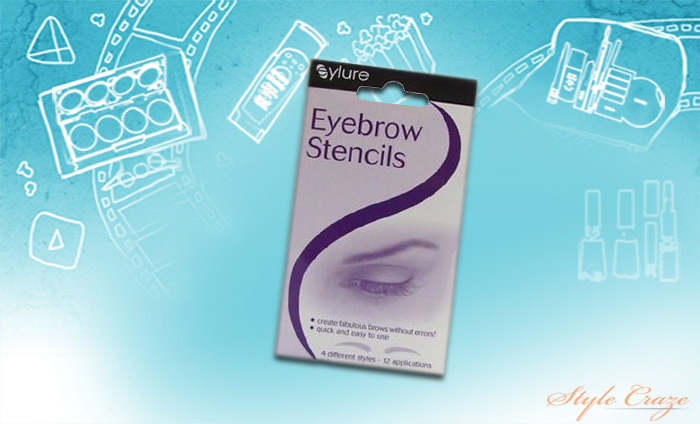 Now, remove any extra eyebrow hairs which are around the eyebrow stencil pattern. You can use any technique of grooming your eyebrows like waxing, threading, tweezing or plucking. The last step is to reapply your stencil to check the shape and also furthermore remove if any stray hairs are left in the previous step and you are done. Eyebrow stencils are an easy way to get fuller pro-like eyebrows. If you have poorly shaped eyebrows or always struggle to figure out, then investing in an eyebrow stencil is a wonderful option. Do try them to get perfect, natural and stunning looking eyebrow looks. Do not forget to share your feedback with us on how did you shape your eyebrows. You can master the art of perfect smokey eyes or cheekbone contouring, but unless your eyebrow is properly done, you will never be satisfied. Eyebrow forms an important part of our face. If you are thinking of shaping your eyebrows, you must keep in mind the shape of your face. Experimenting with different salons to get that perfect shape and matching the two eyebrows can be a tough job. Many of us have faced ‘eyebrow accidents’. The moment you see yourself in the mirror and discover that your eyebrows are either too thin, or too thick, or disproportionate—that’s the stuff of nightmares! 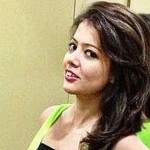 Brow Queen Shavata Singh says, “Brows are sisters, not twins. Over-plucking and plucking above the brow should be avoided at all costs as hair doesn’t always grow back and you run the risk of permanently losing your most flattering shape.” Some of us use tweezers themselves; some prefer threading by the hands of experts. And some use eyebrow stencils. These stencils provide the frame and shape to measure the width, length of each eyebrow and to match the two together. If you are looking to get the shape of your eyebrows just right, you can try these amazing stencils. This comes in a pack of 4—Curved arch, soft arch, structured arch and full arch for multiple uses. 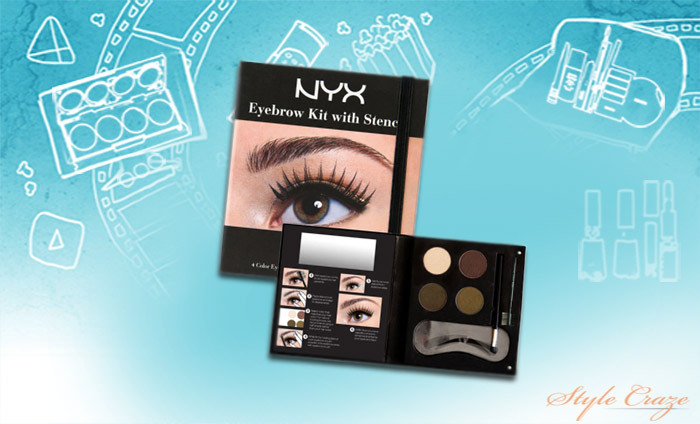 Suitable for all eyebrow and face shapes, this set is available in stores as well as online. The stencil should be aligned with the eyebrows and filled with the desired filler, such as a brow pencil or brow powder. Use the same stencil for both brows by just flipping and repeating the process. The kit contains four brow shadows, stencils and two brushes. It comes in 3 alternatives ─ for brunettes, blonds and others, which specifies the eyebrow powder color. It comes in a set of 3 stencils ─ small, medium and large. Keeping in mind the requirement, the stencils can be placed part by part to get a fuller look with arched top. 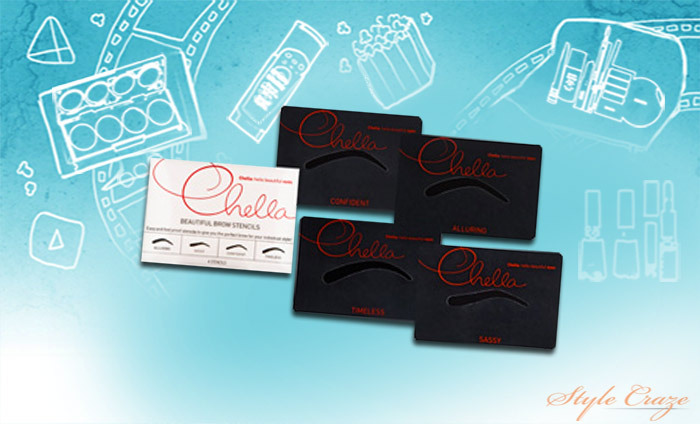 Chella gives 4 templates to achieve the perfect eyebrow shape with precision. Pick from Alluring, Sassy, Confident or Timeless Chella Stencils. The stencil is used to fill in the gaps, or where the brow looks empty and light using a brow pencil. Finding this product in stores can be a battle. So, take the easy way out and shop it online. These Anastasia eyebrow stencils, made of pliable plastic, are a must-have for all women since these stencils are durable, easy to use, and easy to clean. This kit comes in a set of 5 stencils to suit all face structures. Petite, Slim High, Medium, High and Full Arch Stencils allow you to achieve and maintain a uniform eyebrow shape. They can be used to fill in the light eyebrow, or can also be used as a guide when using tweezers or pluckers. Delicate, Elegant, Glamorous or Classic ─ choose the one that suits you the best. These easy to use, hassle free stencils come in a set of 4. This is the only stencil set that is relatively cheap. This eylure eyebrow stencils are unique. Why? Well, it comes with 12 disposable strips. Each eyebrow strip has an adhesive back, which helps to keep the stencil firmly in place while it is being filled or plucked. Ease of use makes these stencils a real winner! If it is from Kryolan, you know you can trust it! This stencil set revolutionizes the world of makeup with 12 different designs of reusable stencils. This set is available in a pack of 3 or 12. Finding it offline, in stores will be a hassle. We suggest shopping online for these amazing stencils. But all the effort you put in to buy it is all worth it. Not only does it help fill in the eyebrow gaps, but it can also be used to help tweeze or wax your eyebrow with accuracy. Now you don’t have an excuse for unkempt eyebrows! Just keep one of these best eyebrow stencils in your makeup kit and make sure your brows are always in top shape! How do you shape your brows? Do you leave it to the experts or do you do it yourself? Share your views with us in the comments section below.